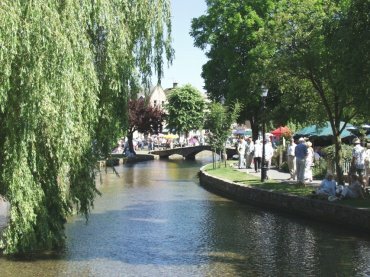 BeenThere-DoneThat: Bourton-on-the-Water (1), Cotswolds, Gloucestershire. 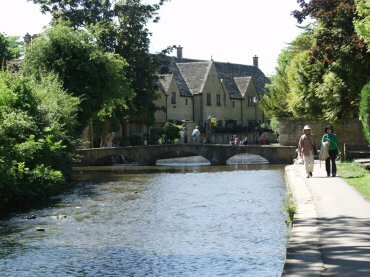 This village is described as 'The Venice of the Cotswolds' and I will admit that the arched bridges over the River Windrush are slightly reminiscent of Venice but that is where the similarity stops. It is a large village and the central part around the river is picturesque but that is rather spoiled by the tourist based businesses that make it very much a tourist resort. It rather reminds me of an inland Clacton-on-Sea and becomes very crowded in season. "Seething with tourists" is the phrase that springs to mind. It's unusual to find a timber-framed building in area which has a virtually limitless supply of local stone. This viewpoint was at the junction of High Street and Moore Road looking into Moore Road. 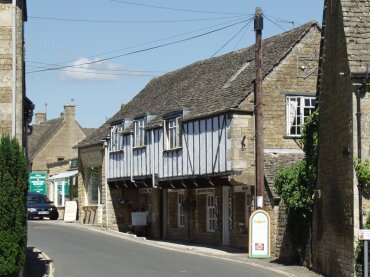 The River Windrush runs through the central part of the village parallel to Rissington Road which is a continuation of the High Street. There is no doubt that this village is picturesque and it may be that visiting in Spring, Autumn or Winter would leave you to appreciated the place rather than struggling through the crowds. However, as this picture shows, it is possible to find a pretty and relatively quiet corner. This church was built on the site of a Roman temple and records show that a Saxon church, probably built of wood, occupied the site in the 8th century. 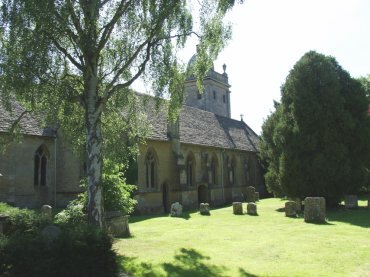 In the early part of the 12th century a Norman stone church was built but the current building has a 14th century chancel, a Georgian tower and a Victorian nave.